Every homeowner and holder of a residential and commercial building can use the professional cleaning services that we provide which ensure perfectly sanitises drainage systems. Our staff work in line with the health and safety regulations and provide the gutter cleaning in NW4 that ensures properly functioning drainage systems. You can protect your building from leaks, blockages and flooding with rainwater which are most likely to happen if you don’t provide proper cleaning of your guttering. Our services are professional and guarantee removal of blockages, debris and wastes. 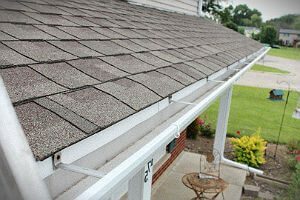 Our company offers professional cleaning of gutters which includes using of special vacuum cleaners that are attached to poles and have tiny cameras. These can take pictures and show to the customer before and after the cleaning the condition of the downpipes, fascias and soffits. Our services are reliable and guarantee properly functioning and thoroughly cleaned drainage systems. The gutter cleaning which you will receive from company, based in Hendon, guarantees no leak or blockages in the downpipes. Use our services once or oftener each year regardless if you have any problems with the drainage system in your estate or not to get best results. Our staff use special vacuum cleaners which are attached to extendible poles and can get to higher areas of house, blocks of flats and commercial estates. We provide the cleaning by removing debris, leaves and wastes from downpipes, washing fascias and soffits. Our services include cleaning the interior and exterior of guttering systems. If you use the cleaning services which we provide at least once or twice per year you won’t have problems like leaks and basements flooding caused by neglecting to sanitise your gutters. Our gutter cleaning is at your disposal in Hendon, NW4 every day of the week at reasonable rates. Use it to get the best possible outcome and ensure the integrity of the drainage in your property.